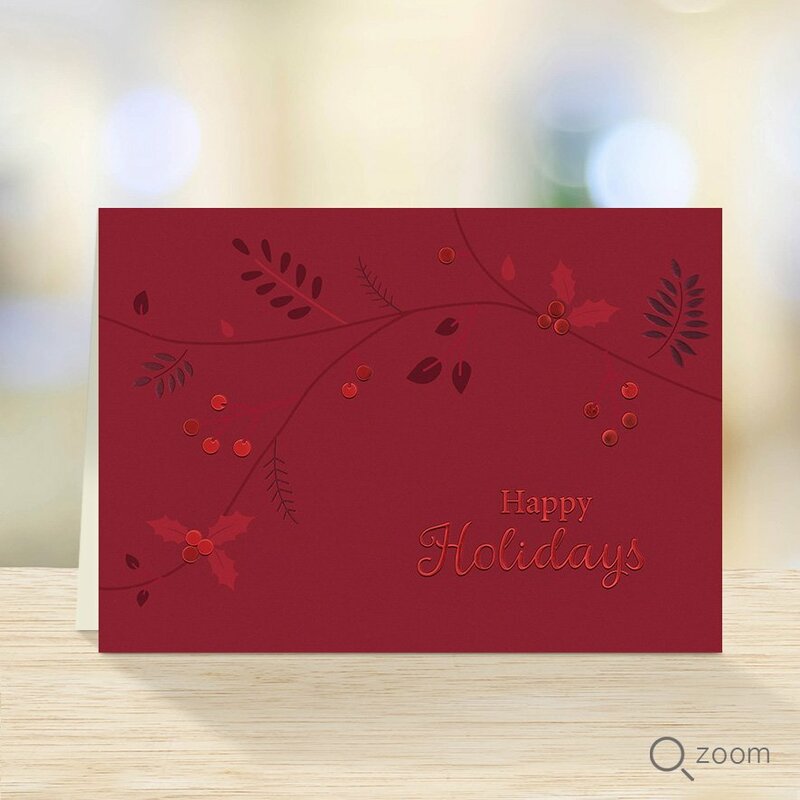 PREMIUM - Red foil stamping and embossing enrich this minimal but elegant holiday design. Choose an inside verse at no additional cost. Horizontal card, size 5”x 7” with a top fold. Printed on a Recycled ivory matte stock by an FSC certified printer*. 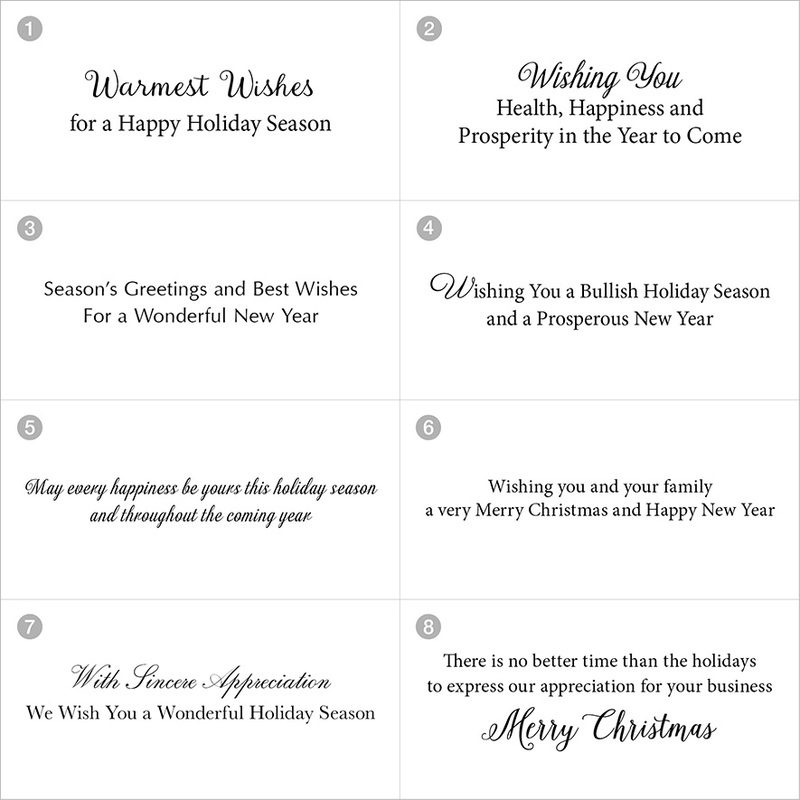 The price per card for the Premium Card Line includes Peel & Seal® Ivory Gold Foil-lined envelopes. Choose a verse from the options above. Made in the USA.